It’s no secret that I have a “mild” obsession with music from Panama. What started as a love for Salsa Dura Panameña and Funk from the Isthmus has slowly branched out into a heated search for everything from Tamborito street recordings to Musica Tipica from the highlands and sugarcane-growing regions of the country. 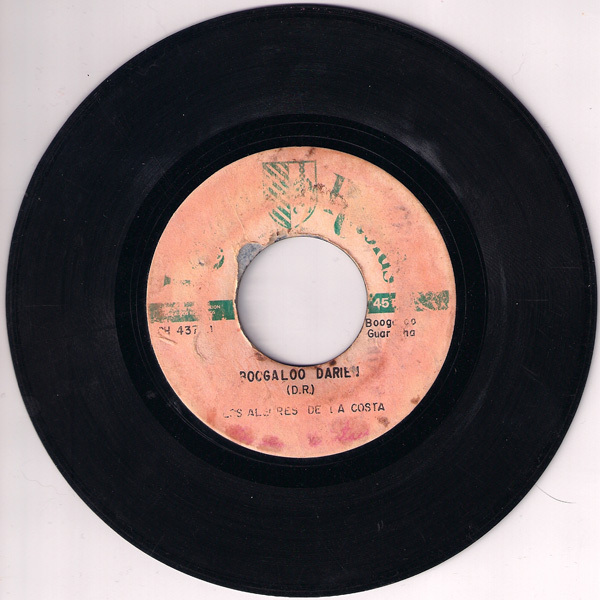 It was through these searches that I came across this great 45 on eBay: Los Alegres de la Costa “Boogaloo Darien” on Loyola Records, Panama. The record itself looks like it has been rescued from it’s geographical namesake: the impenetrable, sogging wet jungles of the Darien Gap , the only major break in the Panamerican Highway, so thank god the info on the label is still readable. Anyway, I hope you folks enjoy this great Boogaloo Guaracha de Panama.